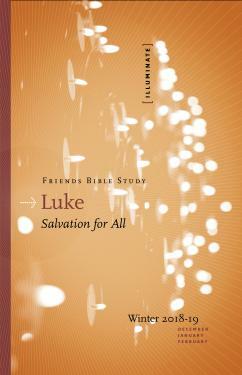 More than any other gospel, Luke describes Jesus as a Hebrew prophet who breaks with social norms and cultural expectations to fulfill God’s plan. That plan is for the unconditional salvation of all people—Jews and Gentiles. More than a promise for the future, this salvation is also for the here and now. Jesus confronts the rich, heals the lame, and feeds the poor. In addition, women are an important part of Jesus’ story. The angel Gabriel gives Mary a prophetic commission. Women financially support Jesus’ ministry and accompany Jesus to the cross. Mary Magdalene, Joanna, and Mary the mother of James are the first witnesses to Jesus’ resurrection.